Brett’s second school completed! Enrollment doubled expectations Brett’s 5th School Complete! Brett’s Third and Fourth Schools finished! 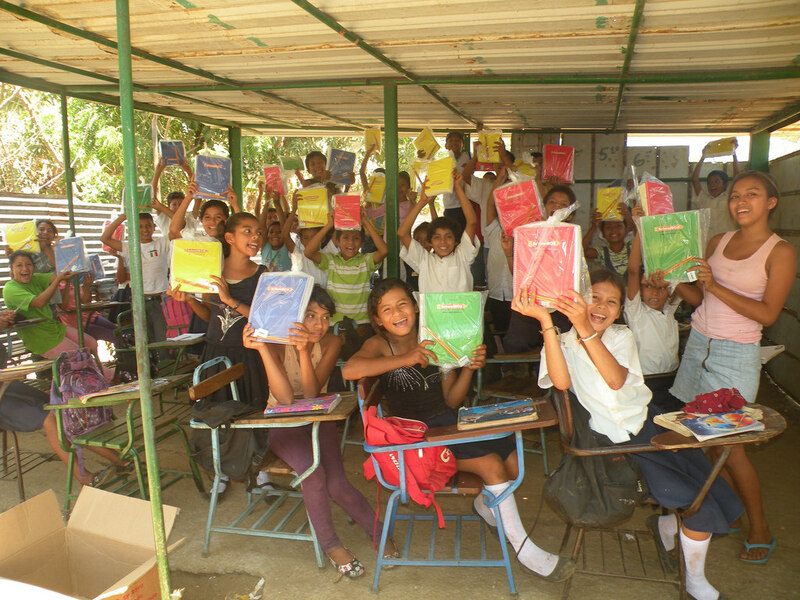 Since our Foundation undertook this initiative to provide schools in Nicaragua to children that would otherwise have no opportunity to gain an education, it has built four new schools at the rate of one each school each year. Brett’s third school was built in Jardines de Apoyo, another small community that had been relocated to a rural area. 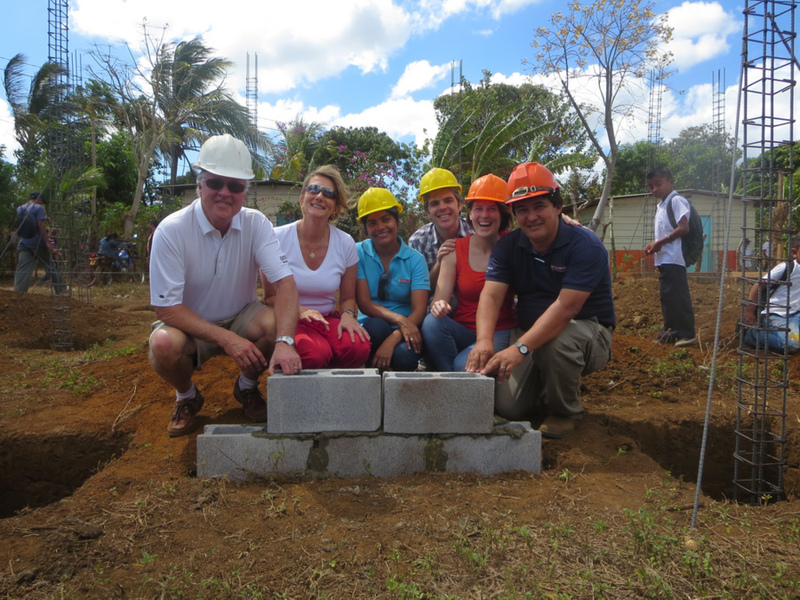 Richard and Lori had the opportunity to help lay the first blocks in the 4 classroom, 3 washroom building which replaced a dramatic open-air tent and ‘rancho’ structure where, for over 14 years, the children of Jardines de Apoyo fought the rain and sun in a quest for a basic education. Student enrollment went from 65 when the school was announced to 120 after the school was completed. The Fourth Brett School: Based on the exceptional success our Foundation and SchoolBOX demonstrated to the Ministry of Education with our first three schools and the additional schools SchoolBBOX has built, they asked us to undertake the construction of our first school offering classes from kindergarten through high school. It is by far the largest school we have built to date and will accommodate 657 primary and 637 high school students. The school is located just outside of Managua, the nation’s capital. We accepted the challenge and for the past year have made a substantial investment and worked hard to complete the school. We are delighted to say the school is now finished and will be ready for the beginning of the school year in February of 2016!